Special Note: For Today Only (apparently); The Kindle edition of Ethan's story can be obtained from Amazon for free. Don't delay, get it now. You don't need to have a kindle or an ipad to read this book because you can read it in your web browser (via the free Kindle Cloud Reader). 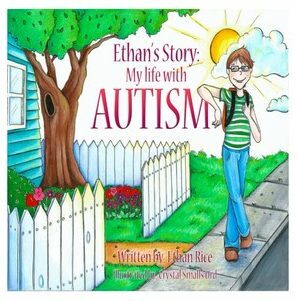 Ethan's story is a very special book because it was written by an eight year old with autism. In this book, Ethan explains his differences simply and from a child's point of view. It makes the book a very honest read which is suitable for all ages. The illustrations are great too. Ethan's story is a very good way to explain autism to children. Ethan's Story is available from Amazon.